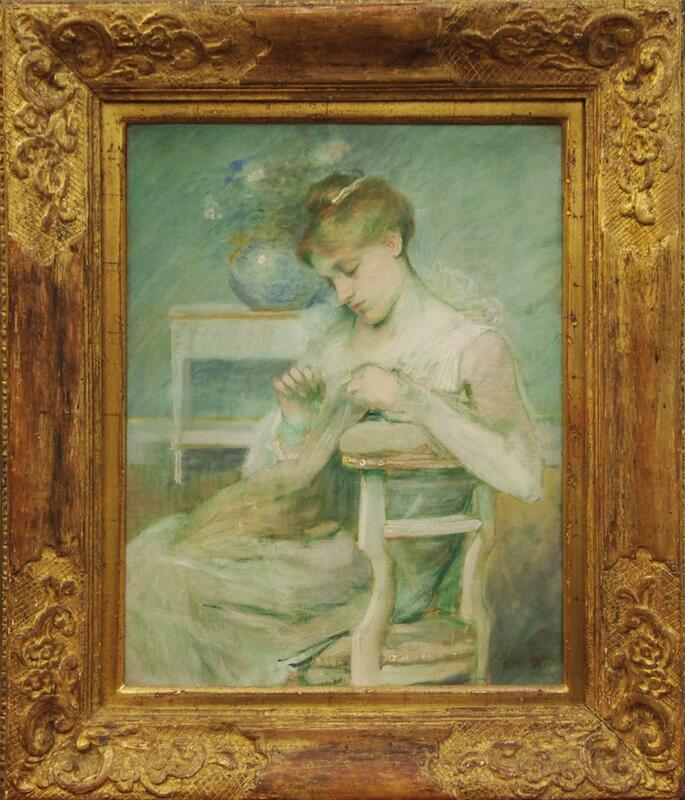 One of the great influences on Weir was the work and theories put forward by James Abbott McNeill Whistler. Whistler was one of the pioneers of the Tonalist movement and incorporating a “Japonaise” element within his works. Composition in Green is clearly in this realm as well in its daring commitment to a tonally green palette that is both elegant and appealing. Tonalist works are meant to convey a “feeling” and mood through the color use, and this painting does so very successfully. The soft and attractive greens are soothing but more importantly reflect an inner, reflective state. The technique of keeping details in the interior to a minimum and then bringing the face into sharper focus was also a Whistlerian aesthetic. Once again, this emphasizes the woman’s face and cognitive state while keeping everything else in a dreamy and soft realm. Weir was ecstatic to marry Anna Dwight Baker in 1883. 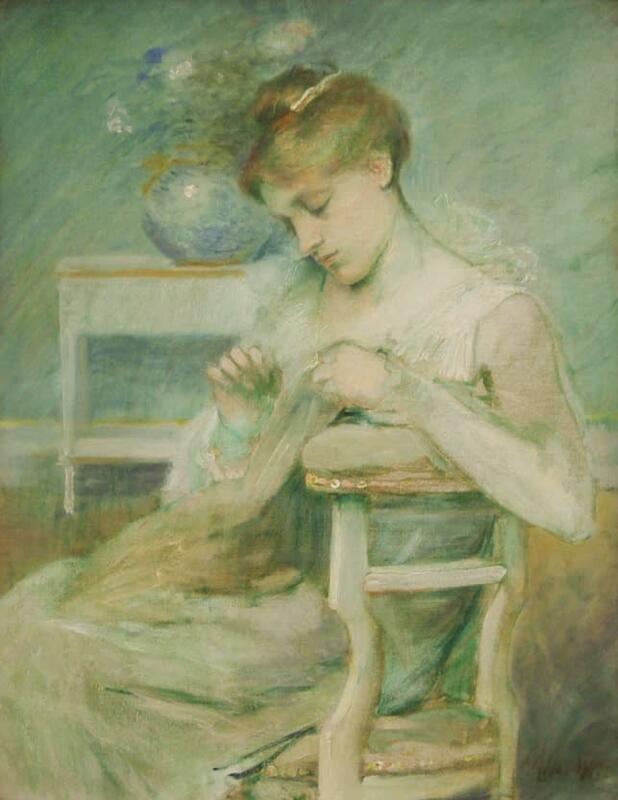 He cherished his wife and between 1883 and 1890 many of his interiors depicted his wife sewing, sitting beside a window and happily ensconced in marriage life. These works often have a soft, dreamlike quality to them. This was a very happy time for Weir and it can be palpably be felt in the reverence and delicacy with which he executed these works.